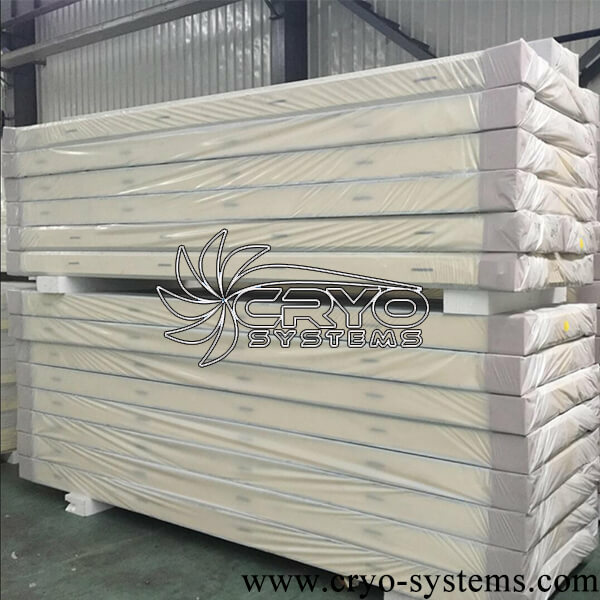 polyurethane panels - Cryo Systems Co., Limited. We have 50, 75, 100, 120, 150, 200mm polyurethane panels. For example, Jack need a cold room to freeze fish. So he bought the panel with stainless steel and aluminum steel. Stainless steel on inner side — anti-rust, durable. Aluminum steel on outer side — save money, looks pretty. 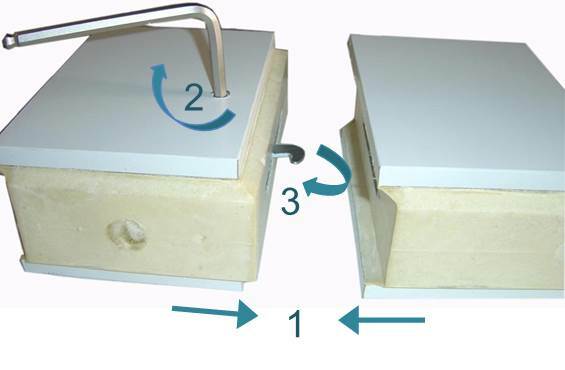 After knowing how to use cam lock, let us install cold room with floor-wall-roof. Please see the picture. 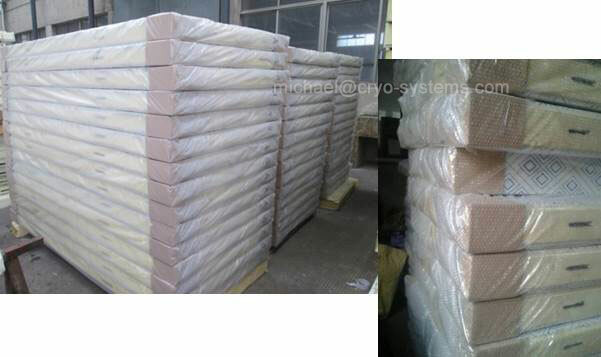 For LCL shipment, protect polyurethane panel better. 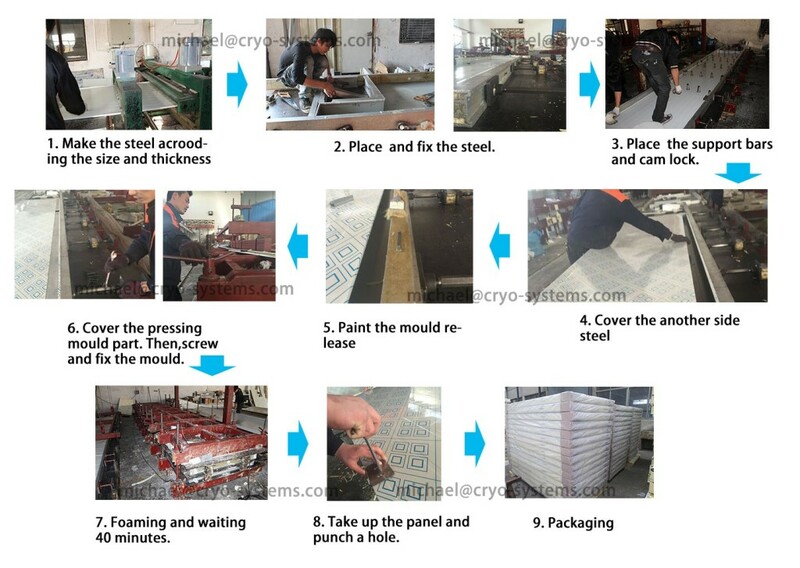 Polyurethane panel will be delivered as part, Piece by piece.